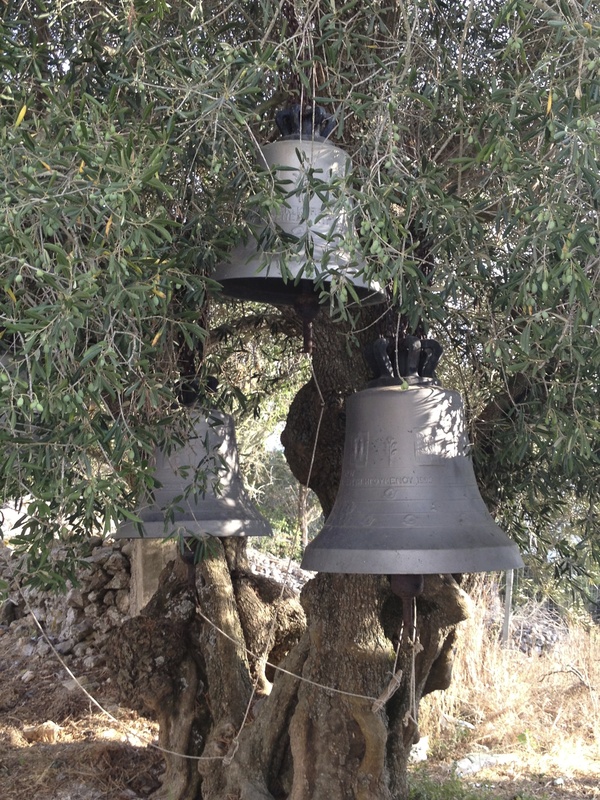 I have just returned from the Greek island of Zakinthos. 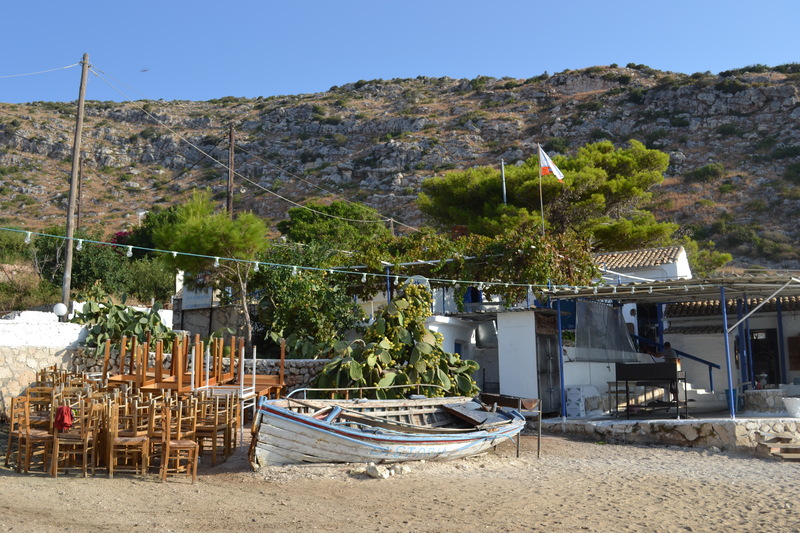 We stayed in a small house with a wooden deck nestled amongst prickly pears and scented maritime pines. 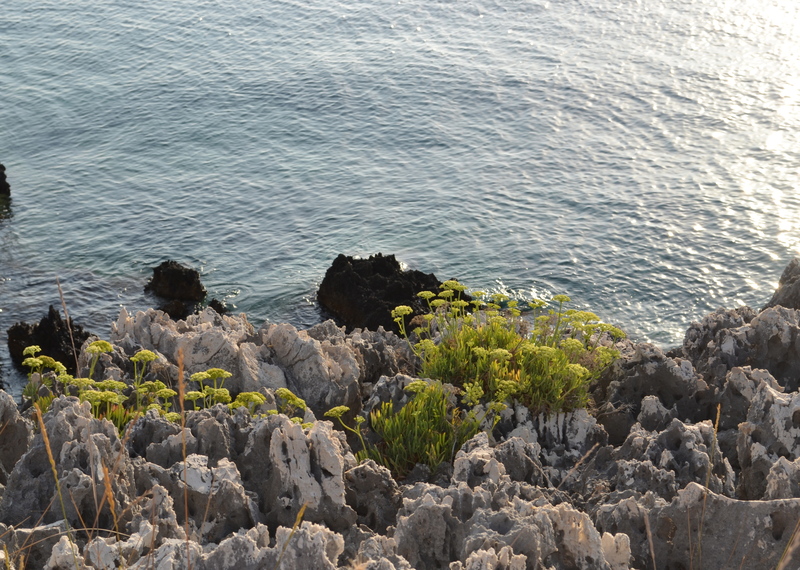 The house has its own rocky cove and chalky white steps down to the sea. 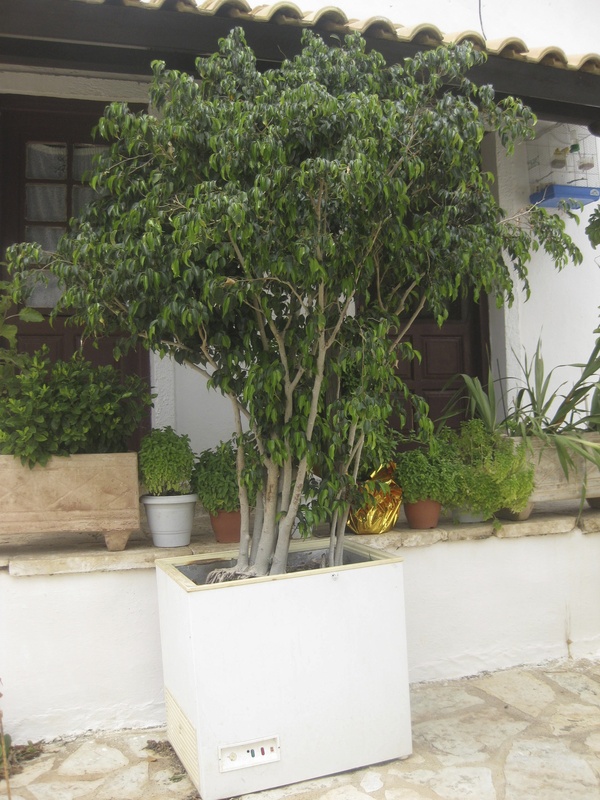 Ten days with our own, wild, greek island garden – my kind of holiday. After a pre-breakfast swim, I sit on the warm canvas chair and look up. 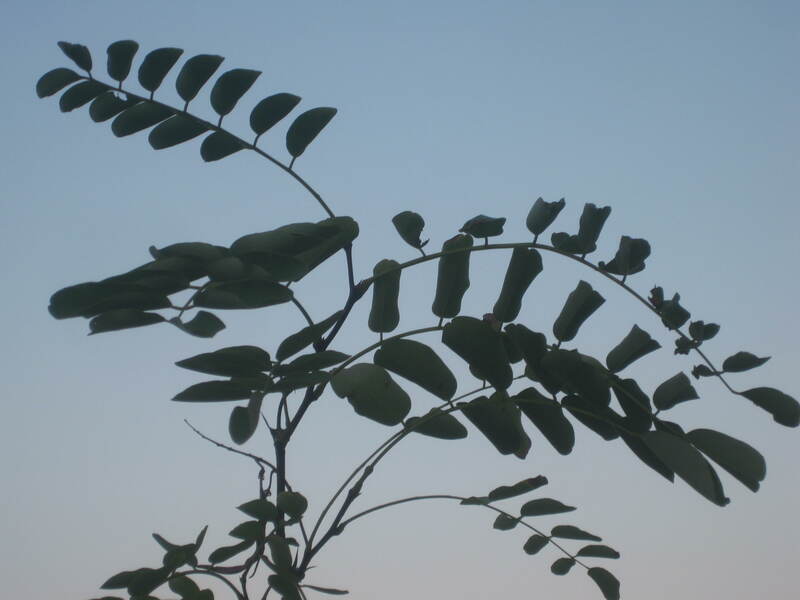 Shaggy-toothed palm leaves arc confidently against the pale blue sky, neat curves of acacia scratch out small dainty arcs below. 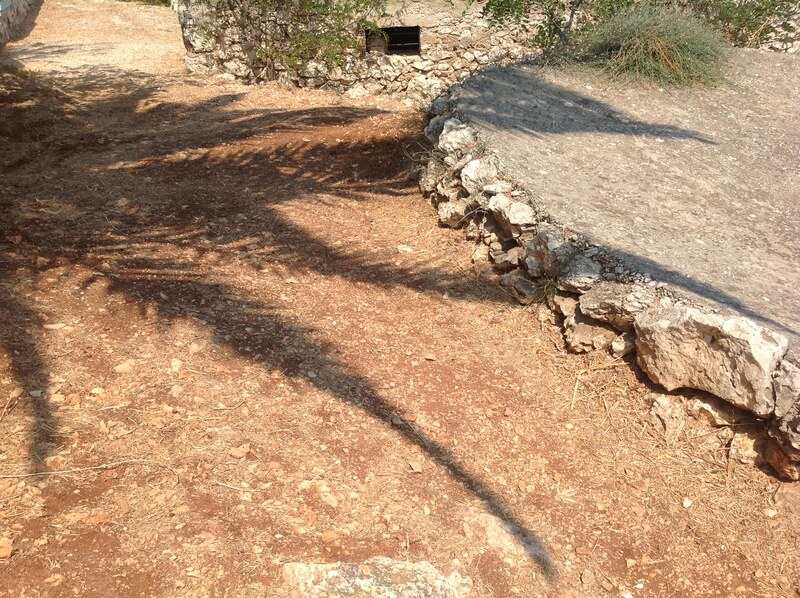 Later, as the sun rises higher in the sky, jagged charcoal shadows of palm settle on the dusty path and lurch lazily up over different levels of stone – soft, impermanent fossils. 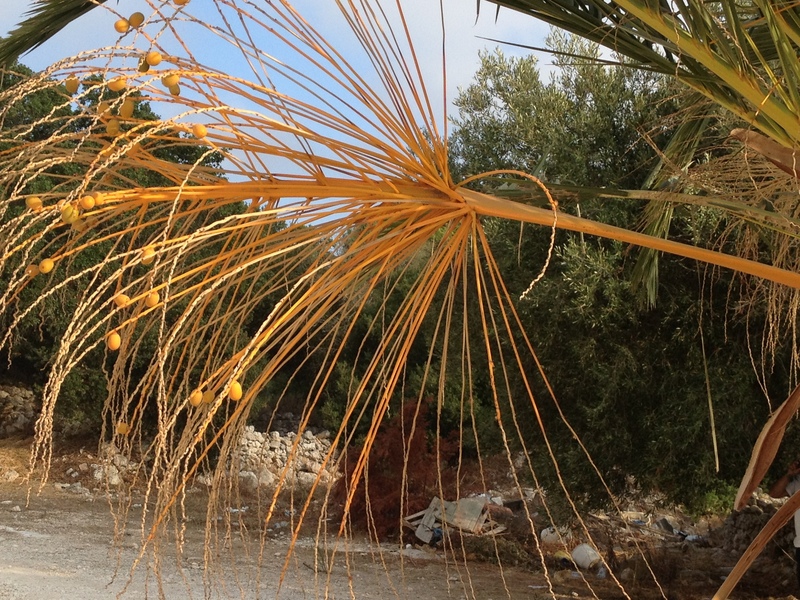 The orange seed heads of the palm tree are so confident and vibrant that just catching the sight of their orange rays makes my heart sing. 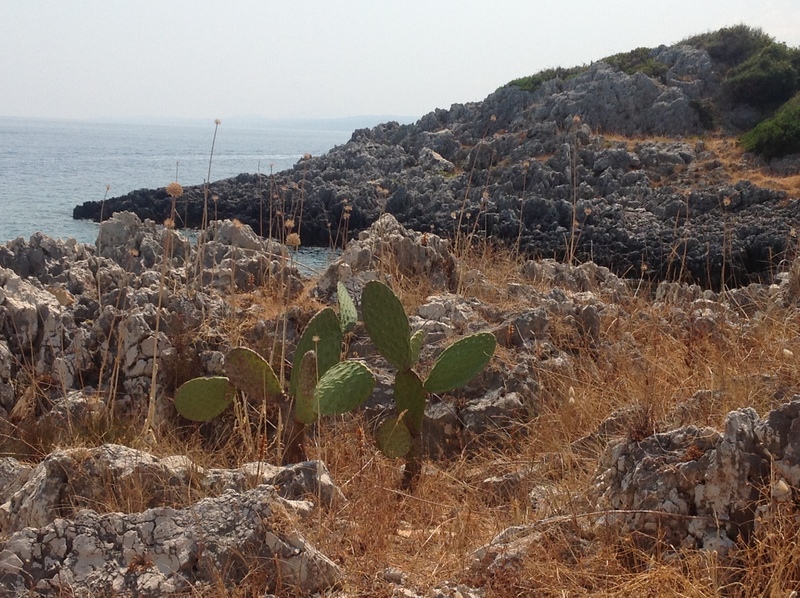 I am entranced by the prickly pears. They have the same perky impertinence and energy of a Picasso sculpture. I love the fat blushed pointing fingers – crazy natural signposts that seem to tell you that fun is available in pretty much every direction – and the milky green quilting of the leaves with their sharp needle-like stiching. 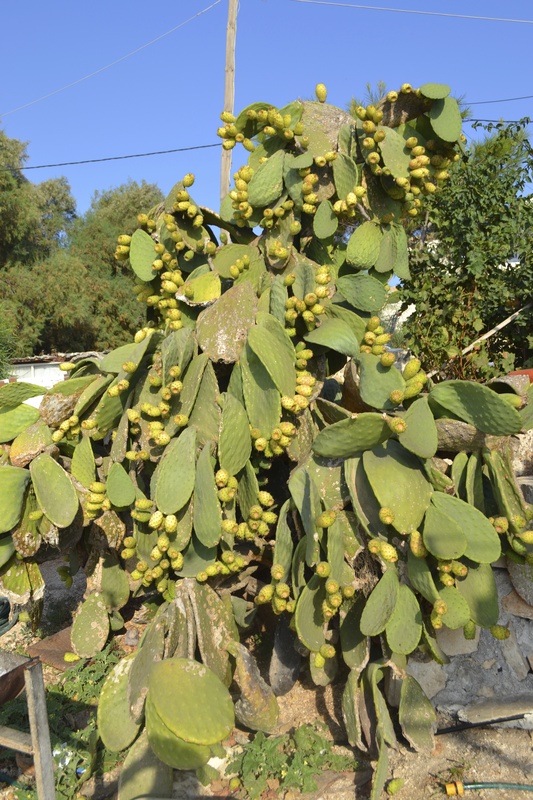 The local champion prickly pear grows out of the sand at the beach restaurant in the port. Most diners arriving at the restaurant crunch on by, ignoring the pear, eyes only for the frosted jug of yellow wine already on the table. But the pear dances on happily, and makes me smile. Rude not to have a glass of wine anyway. Another perfectly still, end-of-summer morning. A sweet, almost aniseedy scent hovers over the salty air. A plant that I don’t yet know grows softly over the jagged grey-black rocks, spilling over the ragged stone. The flowers are a pool of flat, pale-lime, lacy platforms on surprisingly succulent, glaucous stems – an army of rugged little parasols luminous against the grey and alive with a fine netting of tiny buzzing insects. 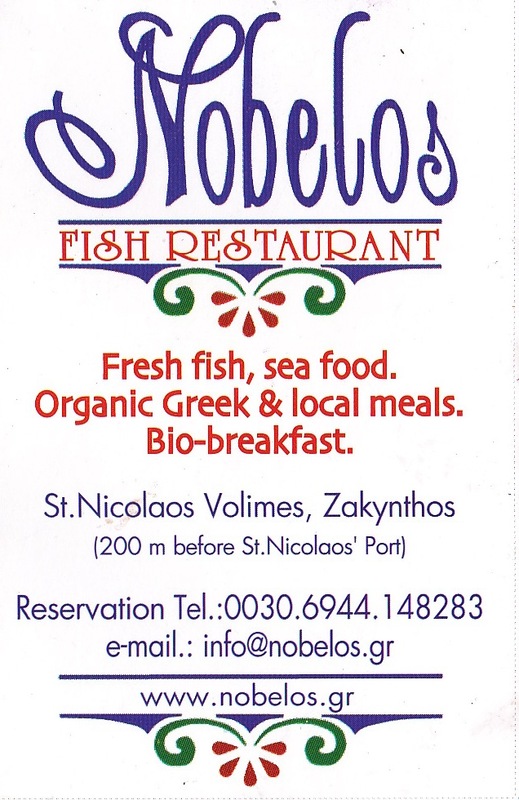 We have lunch at restaurant next door and choose ‘green vegetable’ to go with our grilled fish and seafood pasta. A steamed fragrant vegetable – is it samphire? Not quite. More aromatic, aniseedy – very delicious. On the walk home I go back to inspect the pools of fennel-like green. Rubbing the stem and smelling again – it is obviously the same plant. The restaurant tells us this is “Kritama”. 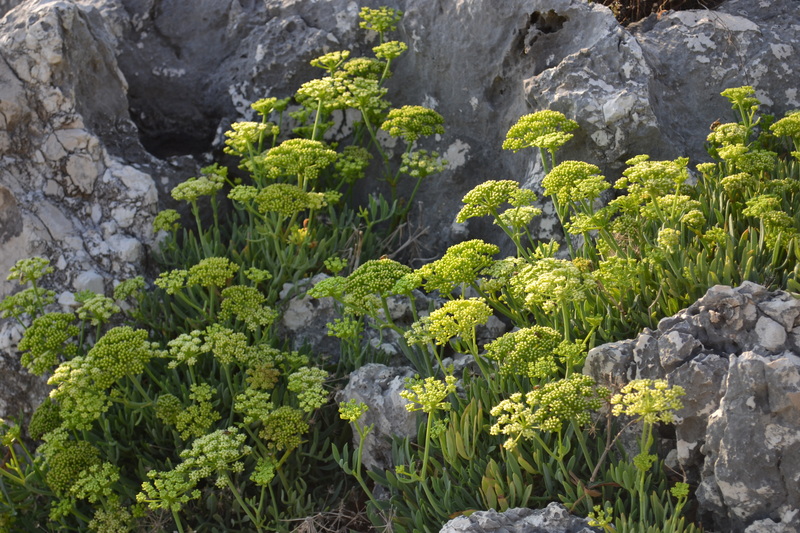 Kritama, it turns out, is Crithnum maritimum, known in the UK as sea fennel, but more often Rock Samphire. It is found on the West coast of the UK and Ireland and has been regarded as a delicacy for centuries. 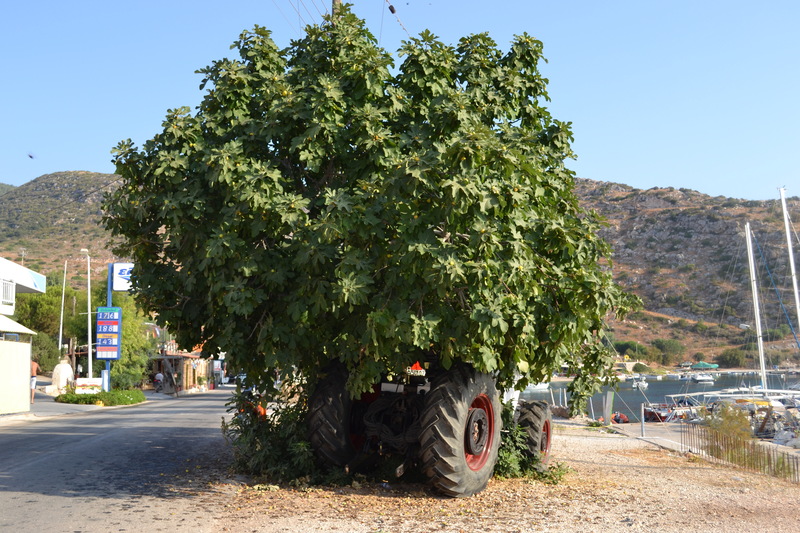 Harvesting it from cliffs was famously dangerous and is referred to in King Lear: “Half way down, Hangs one that gathers samphire, dreadful trade”. I learn that it can be steamed, pickled or eaten raw. I find a cheerful website which gives an idea for a really cheap student meal – an open tomato and rock samphire sandwich … I make one for breakfast but the raw samphire is unpleasantly hot – ah well another romantic idea bites the dust. I also learn that we were not the only ones to confuse Rock Samphire with Marsh Samphire – Salicornia europaea – also known as Glasswort. Marsh Samphire grows wild in salt mashes especially in East Anglia. This is the samphire we eat at home – much saltier and less fragrant but perfect with barbecued mackerel. 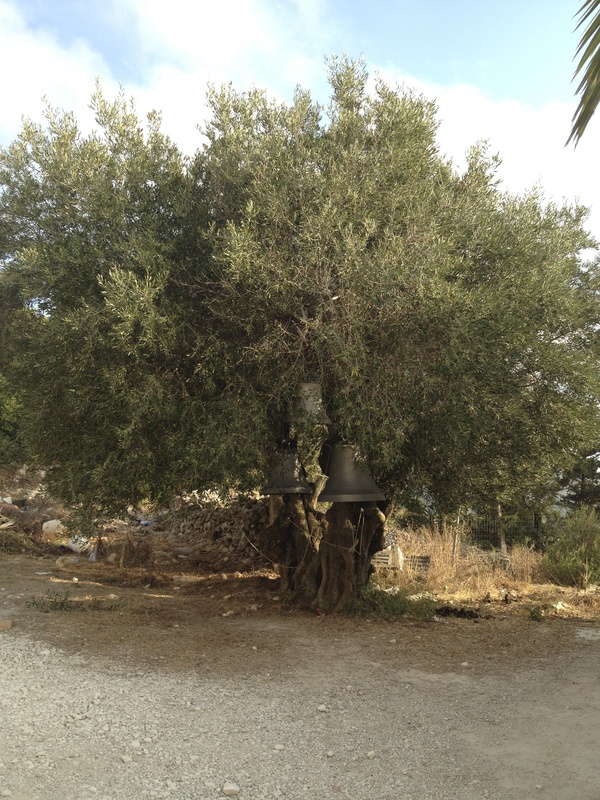 Best of all, just outside the gates of a small monastery, and rising majestically from a sea of plastic debris, was this magnificent olive tree, laden with working bells. long lazy ribbons of bamboo are held horizontal, like streamers, by a soft roll of breeze at the edge of the deck. A soft rustling, comforting, subsiding and then another small wave of papery fluttering. 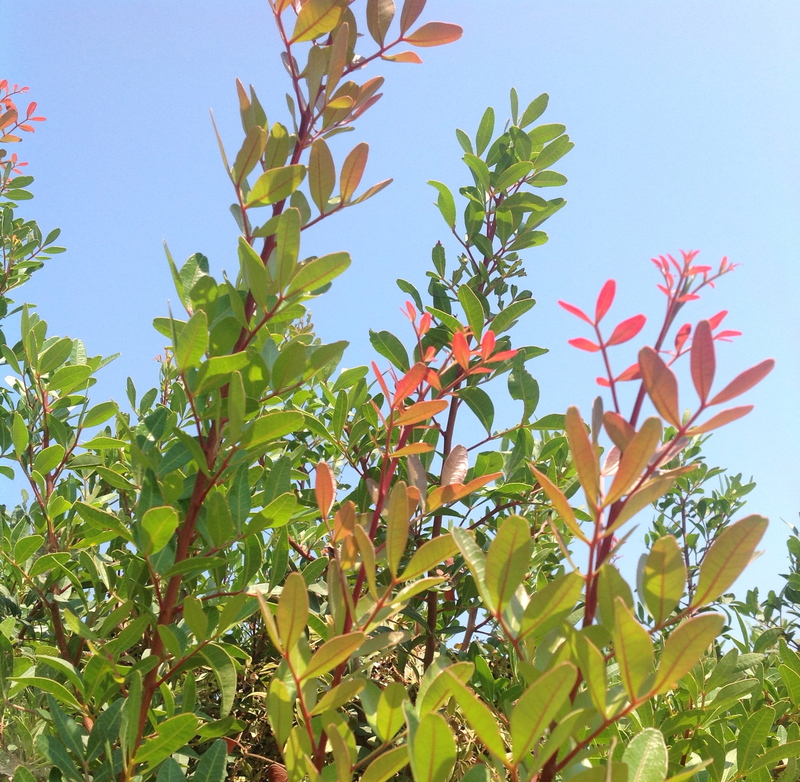 A spicy scent as you pass great mounds of myrtle, the new growth rosy-brown in the morning sun. 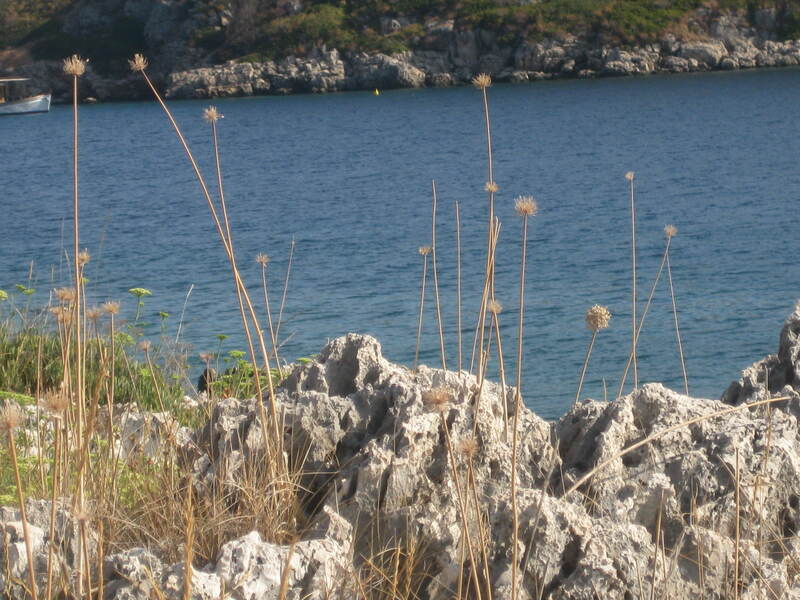 Allium seed heads – fragile, dusty busbies on improbably slender stems – wave bravely on the cliff top as August turns to September. 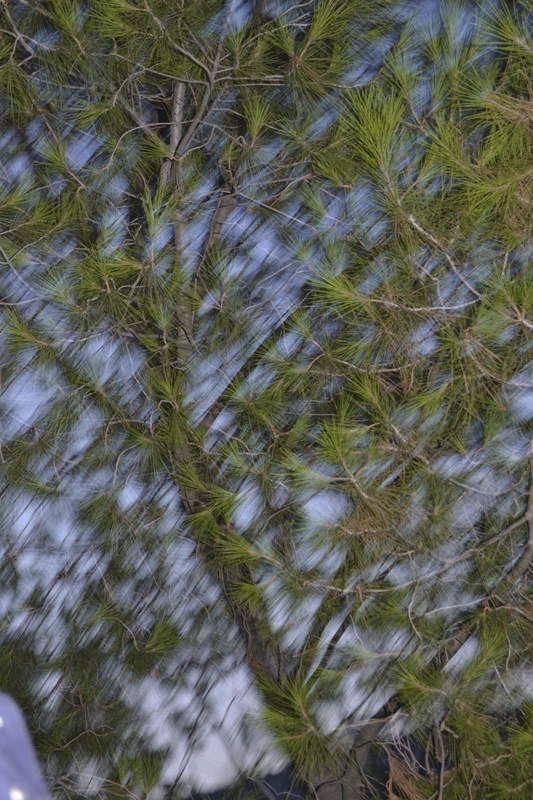 Swooping, elegant bunches of fine pine needles scratch their upward accents against the dazzling blue of the eleven o’clock sky. 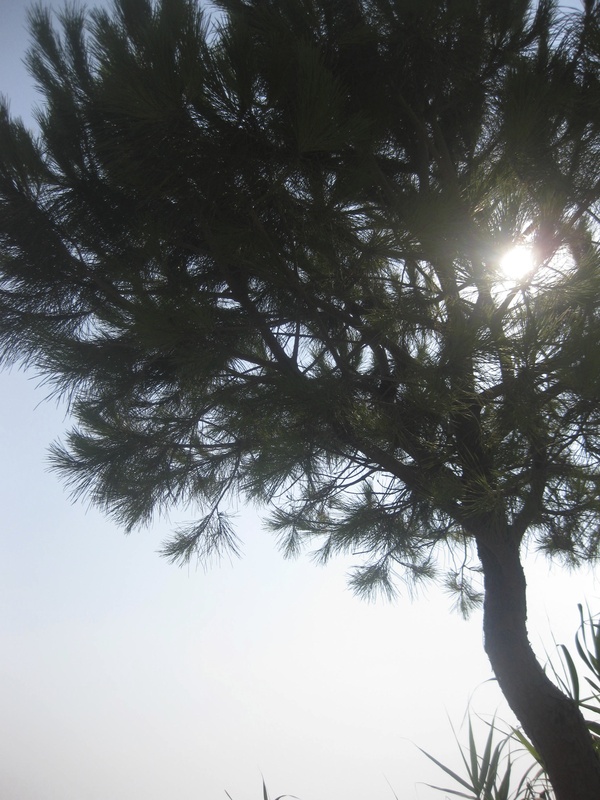 A maritime pine is a framer, a glamorous, instant holiday of a plant. It is tough enough to leave. 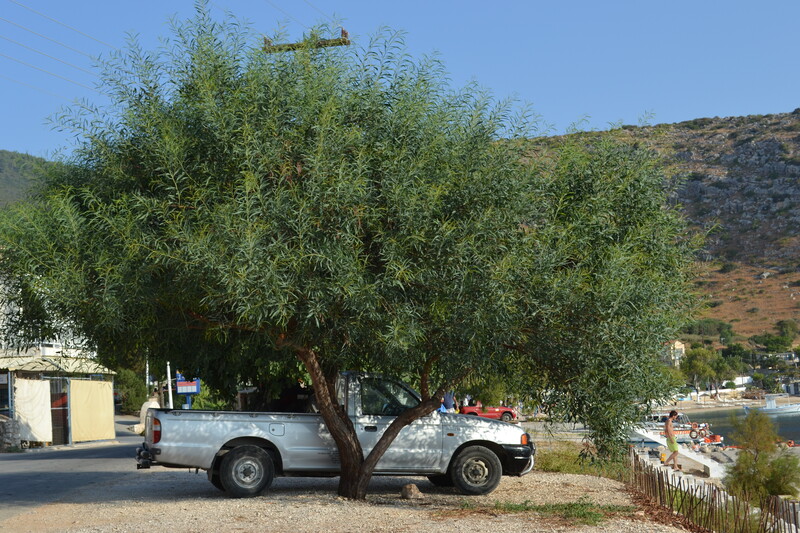 This entry was posted in Gardens and tagged kritama, marsh samphire, olive tree, prickly pear, rock samphire, sea fennel, Zakynthos on September 24, 2013 by nonmorris.